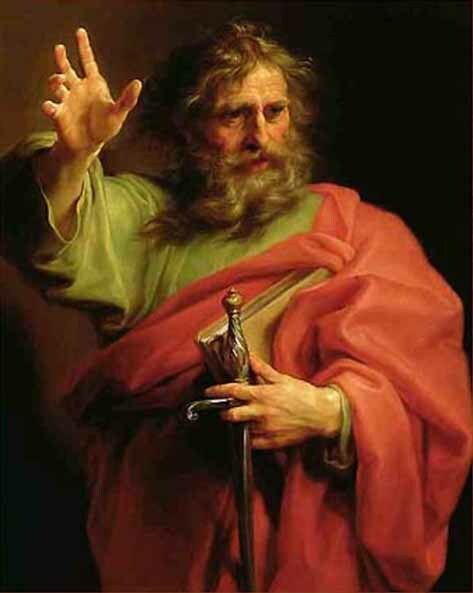 Blessed Apostle Paul, who labored so zealously for the conversion of the Gentiles in many lands, obtain for us a perpetual zeal for the salvation of souls and especially enkindle our interest in the conversion of our separated brethern. Ever mindful of the interest that our Divine Lord, the Good Shepherd, has for the other sheep not of His fold, I now beg your intercession and obtain for me the gift of the true faith for ............. (Pause here and name relatives and friends) May God grant this request so close to my heart and thus enable me to extend to another what I so richly enjoy, through Jesus Christ our Lord. Amen Father in Heaven through the mystical wounds of Your Son Jesus have mercy on the souls who visit my web pages. Whoever visits this site is automatically prayed for night and day as long as I live God knows who you are and He will apply your petitions. My motto is I will not let the devil have my family, or any family. My soul or any soul, if I can prevent it, through prayer, sacrifice and pain and despair. I will fight the devil tooth and nail, till I take my last breath and then fight him from heaven for souls here on earth Say for 9 days: say 1 Our Father, 1 Hail Mary and 1 Glory be each day in addition to above prayers.